The global manufacturing landscape is changing. Poor quality from products manufactured overseas have encouraged us Brits to look closer to home when it comes to purchasing. When you factor in the well-publicised poor working conditions in overseas factories and a new found awareness of carbon footprints, it is no surprise that today, almost 75% of British people now feel as though it is important to buy British-made products. Below is a list of reasons why we, as a UK manufacturer feel people may be switching back to British-made products. As we have mentioned, quality is becoming more and more vital to British consumers, hence their recent switch back to UK manufactured products. Because British manufacturers are passionate about their products, they undertake regular quality checks and ensure that every item is finished to the same high standard. Here at Red Bus Cartridges, we do absolutely everything in-house at our purpose built Lincolnshire factory. This allows us to access our products throughout the full production lifecycle before marketing and eventually selling. In a nutshell, this prevents UK manufacturers from creating and selling ‘fake’ or ‘copy’ products, meaning you are not risking buying such products when purchasing from British made items. Being able to speak to someone quickly, and with as little fuss as possible is always important as a consumer. When buying British, you can reap the rewards from a UK based head office, operating with convenient hours. Also, with added instant features such as live chat, getting an urgent problem solved has never been easier. Buying British products ultimately reduces the frequency of overseas shipping, which in turn helps the environment. Many cheaper alternatives to products manufactured in Britain come from Asia, all of which need to be imported – a process that can be harmful to the environment due to the lengthy supply chains involved in shipping. We’ve all bought something online for a price so cheap, it’s almost too good to be true. Turns out, that most of the time it is. This is due to the lengthy delivery times given by many overseas companies, in some cases being a number of months as opposed to days. If supporting UK employment and entrepreneurs is important to you, then buying British is an absolute must. 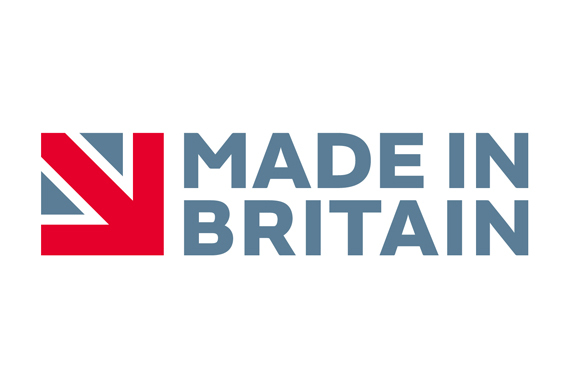 Purchasing from a UK manufacturer undoubtedly helps to support Britain’s economy, meaning that in turn, a company’s legacy is preserved and maintained.